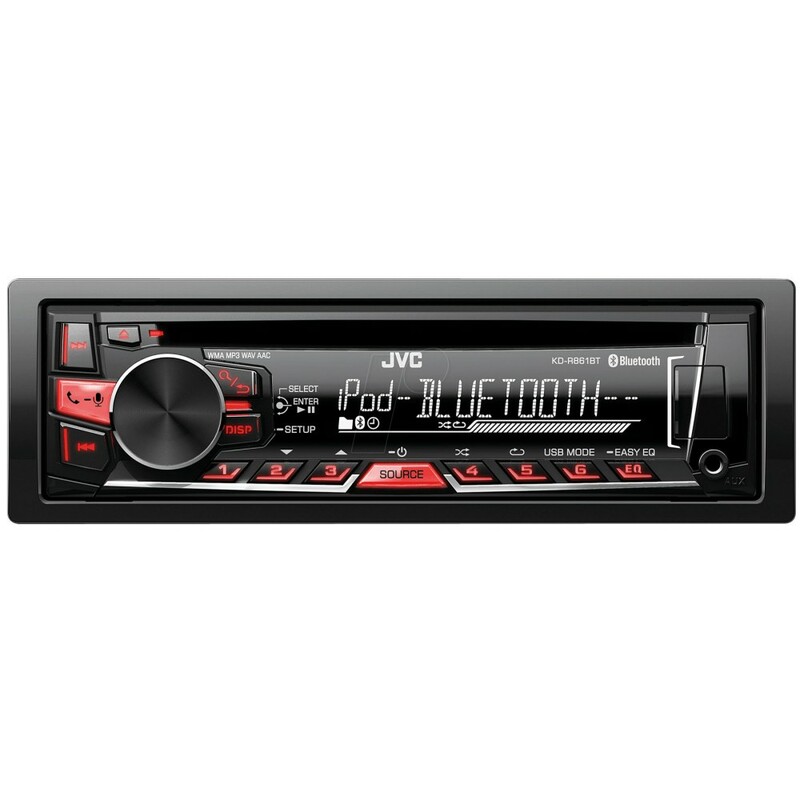 The JVC KD-R851BT Car Stereo lets your music take centre stage - with Bluetooth hands free and audio streaming you don't even need to plug in your device to listen to your tunes. Plus, you'll be able to take calls from up to 2 phones through the speakers safely. 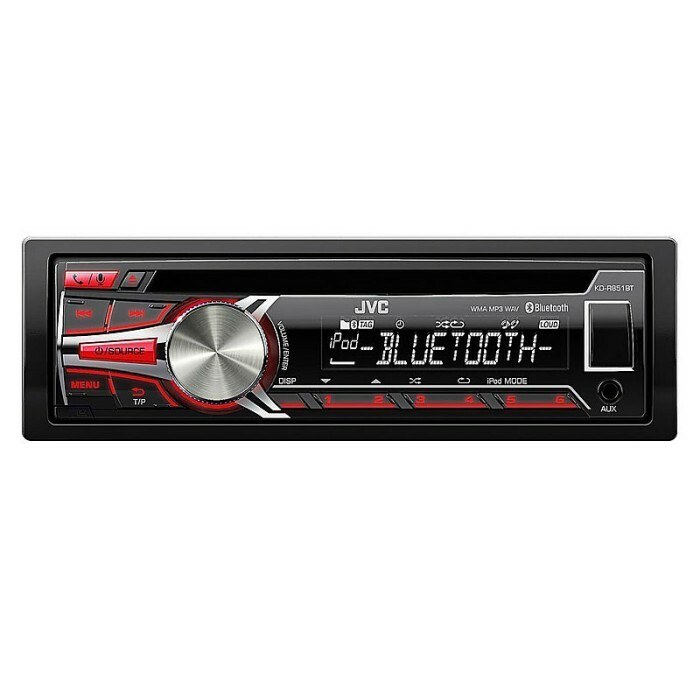 Topped off with crystal clear sound quality, this in-car stereo has plenty going for it. 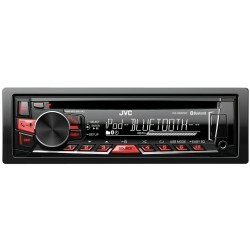 this unit is part of jvc's later range iw as told by my local store which supplied and fitted it for me in Nottingham. andrew and chris were great! they said kenwood now make these machines and its had a huge impact on quality and integration, the value is unreal as you'll struggle to get another unit as good for the money. they were very right as compared to my older jvc which just died this unit work so seamlessly and easily! great unit! Hi I have a 2004 model Peugeo Partner- will this head unit work with it please? Will this fit my Clio 2000 plate? Hi, Will this system work with my 2008 Alfa GT Cloverleaf? It has the Bose sound system (and subwoofer) fitted as standard. The car also has steering wheel controls for volume and mute. My zafira is a 57 plate, what extras would I need to get this to fit my car? You need the following parts. hi there, yes this single din jvc unit will go fine into your peugeot, however you may need to use some parts to fit it in, you will ideally have to check the wiring behind the head unit as sometimes for this vehicle you can get away without using parts. Hi, to fit the KDR851BTE to your DS3 you will need a harness along with a patch lead. We have listed these all below for you. You will also find prices on the link. Hope this was helpful. Hi, is this unit compatible with my car steering wheel controls, and will I need a connecting lead? Thanks. yes it will be compatible, you will need to purchase a lead. This is dependant on which stereo the car came with from standard. You will also need to purchase a CTJVCLEAD. Will this fit in to my car? Can I do it myself? Yes this will fit your, We always advise a professional installer to install the units, However this all depends on your capabilities. yes it will bluetooth stream music. As far as streaming radio go's that all depends if your phone will send out the audio via bluetooth. If so then yes it will.